Federal and state financial aid programs, scholarships, and other funding sources are available to help you afford college. Follow the steps below to ensure your aid is determined and eligible funds are disbursed to your NCC account. Apply online at www.fafsa.gov. When you apply online, you will be prompted to login with your FSA ID. The FSA ID (username and password) has replaced the Federal Student Aid PIN. Your FSA ID confirms your identity when you access your financial aid information and electronically sign Federal Student Aid documents (e.g. FAFSA). If you are a Dependent Student (required to put parental information on the FAFSA) you and one parent must each create your own FSA ID. If you do not have an FSA ID, you can create one when logging into fafsa.gov, nslds.ed.gov, studentloans.gov, or studentaid.gov. Complete a paper FAFSA. Go to www.fafsa.gov and download a PDF version of the FAFSA. Call 800-4-FED-AID and request a paper application. After the FAFSA is processed you will receive a Student Aid Report (SAR). Review the information on your SAR, check for accuracy, and update if necessary. You can correct and update online at the FAFSA website or on the paper SAR. 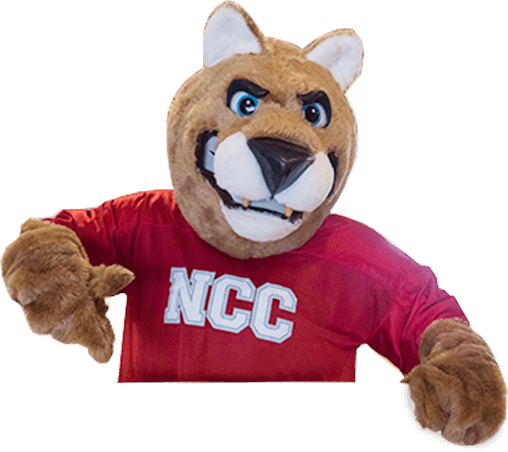 Once the NCC Financial Aid Office begins processing applications, you will receive a letter requesting any required forms and documents. Forward all requested forms and documents to the Financial Aid Office. It is important to complete this step as soon as possible. If you are selected for verification, you must complete a verification worksheet and submit IRS Transcripts. All documents must be received by the student’s last day of enrollment or the end of the current term, which is earlier. Students who do not submit all verification documents cannot receive Title IV funds, but might receive institutional funds. Northwest Iowa Community College will not make an interim disbursement of Title IV aid. Verification might require a correction to the FAFSA that results in a change of eligibility for funding. Contact your high school or GED/HSED testing center and request that your final high school transcript or GED/HSED transcript be mailed directly to NCC. Faxes are not acceptable. If you are awarded financial aid you will receive an Award Letter based on full-time enrollment. The letter describes the types of financial aid you are offered and the amount of each award. Aid awards depend on the availability of funds, accuracy and timeliness of the application, and eligibility for specific programs. Be sure you understand your eligibility and award(s). Complete the application procedure for admission to NCC. You will not be notified about financial aid awards until you are officially accepted by the Admissions Office. Notify the Financial Aid Office of any outside scholarships or loans you will receive. Funding from other sources might result in a revision of your financial aid award. Register for classes with your Advisor. Calculate your out-of-pocket expenses. To review your bill online log in to your My Place account at www.nwicc.edu, locate the Web Advisor tab, click on Web Advisor for Students > Financial Information > Account Summary by Term. Your Award Letter indicates the maximum amount of loan eligibility, but you may not need to borrow the maximum. Review your bill, and if you decide you need loan funds to help pay the expenses you must accept the loan funds. Under NCC Bookmarks, select Student Loans. Complete the three-step loan acceptance process. Payment arrangements must be in place by the first day of your term. Confirm the charges due, make payments to the Business Office, or sign up for a payment plan. Review NCC’s Financial Aid Satisfactory Academic Progress Policy.